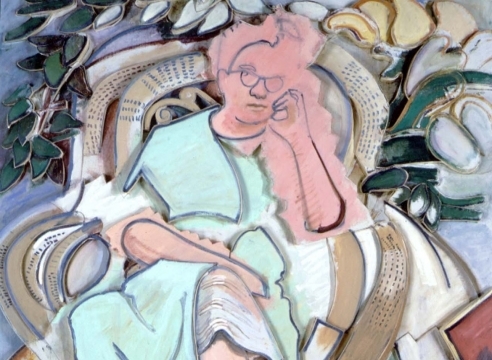 The Tibor de Nagy Gallery is proud to present an exhibition of early paintings and works on paper by the proto-pop painter Larry Rivers. It is the first gallery exhibition to focus exclusively on the early decades of the artist’s career since his death in 2002. It also marks the first exhibition presented by the gallery since it started to represent his Estate in 2008. The majority of works in the exhibition will be on loan from private collections, and will comprise important, large-scale paintings from his most memorable themes, including French Money, Vocabulary Lessons, Civil War Veterans, Camel cigarette packs, as well as portraits of his mother-in-law Berdie, his then wife Augusta, and the poet Frank O’Hara. Starting with his earliest works from the early 1950s, Rivers painted figuratively, at first turning away from the fashionable expressionist abstraction of Pollock and de Kooning, He would later incorporate the paint application and openness associated with Abstract Expressionism, while always remaining firmly representational, never losing the image. Starting with his famous painting Washington Crossing the Delaware, the artist gained immediate attention, even acclaim, painting historical subjects, often done tongue and cheek, of events in popular American history. He went on to appropriate and incorporate images from popular culture, iconographic clichés, including advertisements, well-known popular paintings, foreign bank notes, family photos, and photographs from popular magazines. Alongside the works of Jasper Johns and Robert Rauschenberg, whom he knew as younger artists, Rivers’s appropriation and use of mass market images in his paintings starting in the mid-1950s presaged the Pop Art movement. In many respects the artist served as a bridge between the second generation New York School artists and the younger Pop artists. Rivers was born in the Bronx, New York as Yitzhok Loiza Grossberg. 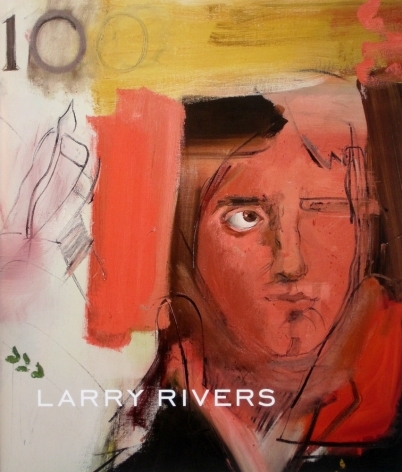 He changed his name to Larry Rivers in 1940 as he worked as a jazz musician while studying music theory and composition at the Juilliard School of Music. He began painting in 1945, studying with Hans Hofmann, and also at New York University. The artist’s work has been exhibited and collected widely throughout the United States. His paintings are included in major museum collections, including the Museum of Modern Art, the Metropolitan Museum of Art, the Whitney Museum of American Art, the San Francisco Museum of Modern Art, and the Solomon R. Guggenheim Museum. His work has been the subject of numerous gallery and museum exhibitions, including major retrospectives at The Jewish Museum, New York, in 1965 and the Corcoran Gallery of Art, Washington D.C. in 2002.